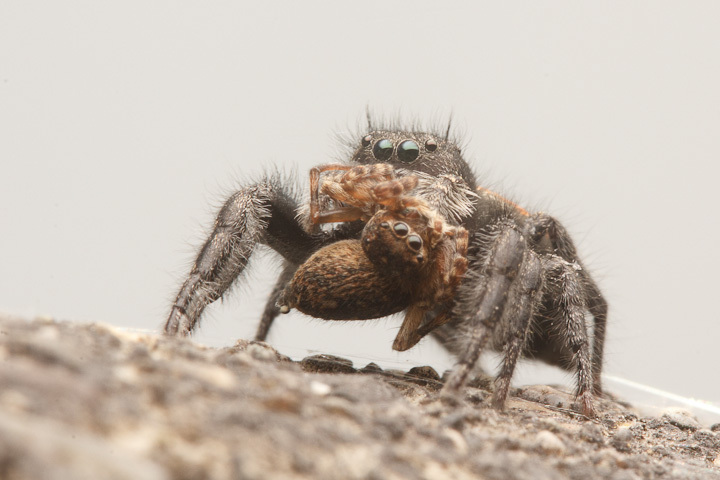 Nothing to see here, just a couple of cool spider species engaged in predation! 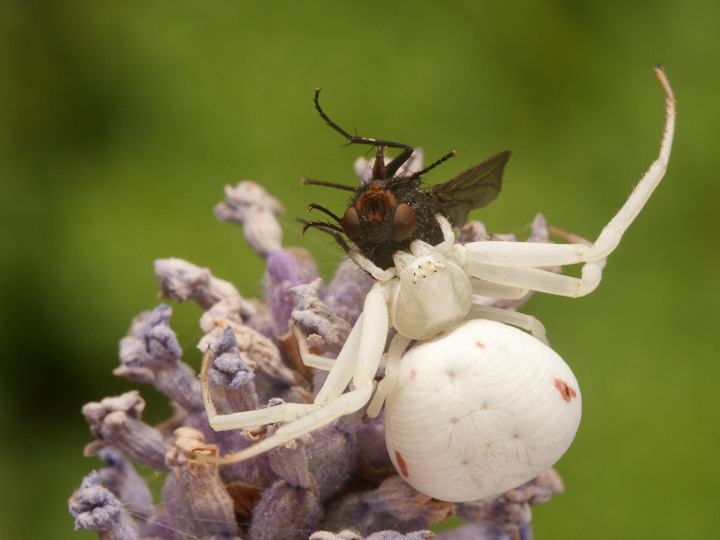 Misumena vatia (in white form) consuming a fly. 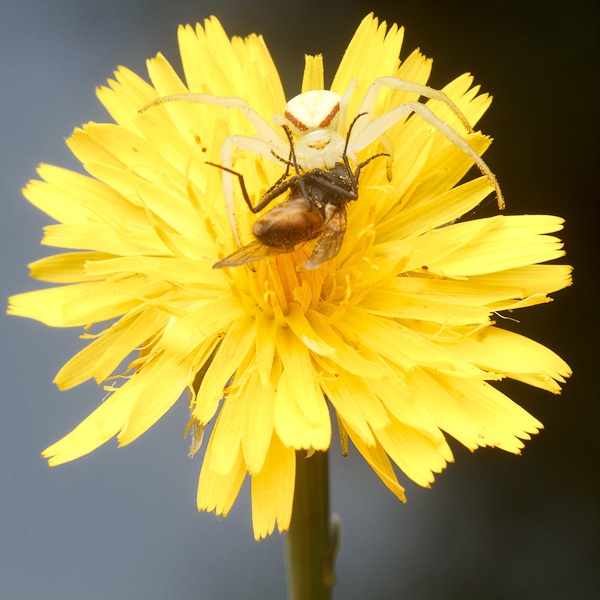 These are called the goldenrod crab spider, but I find them on may flowers. This plump one was the same one I had photographed on foxglove in the last post. 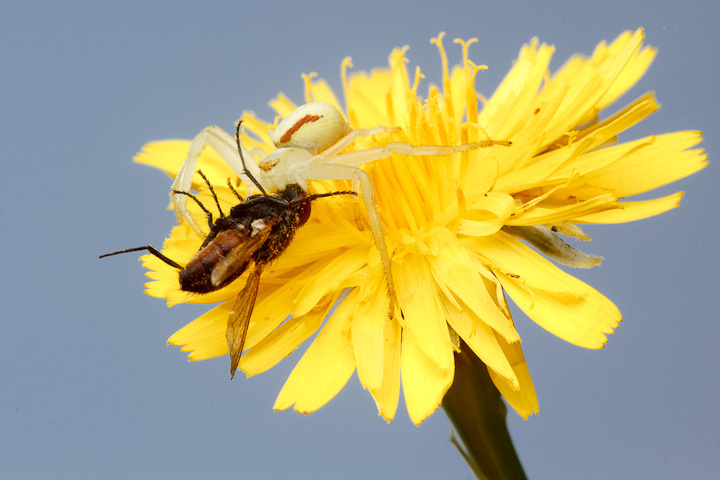 Misumena vatia in the yellow form with a fly. This one is not yet an adult. 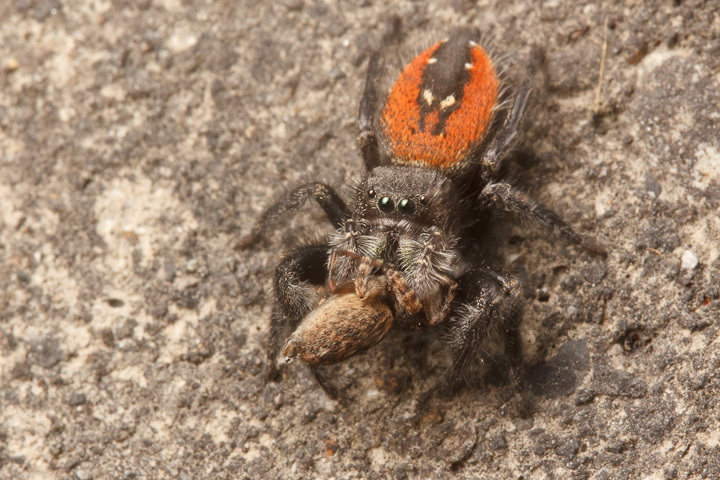 Ambush predators are so cool. 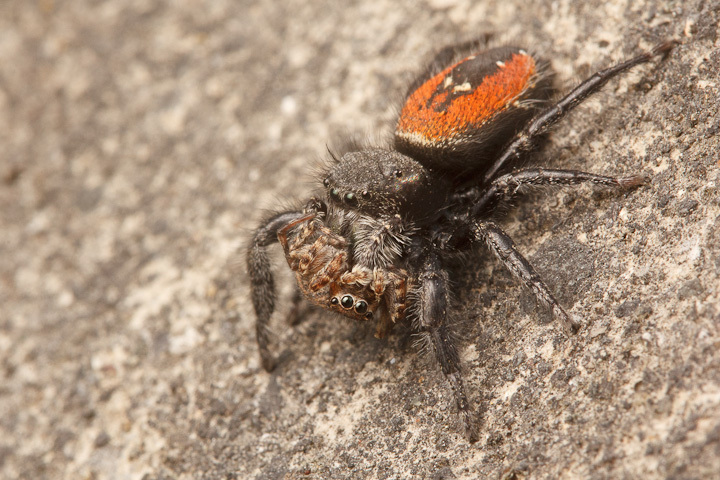 A Phidippus jumping spider with another jumping spider! 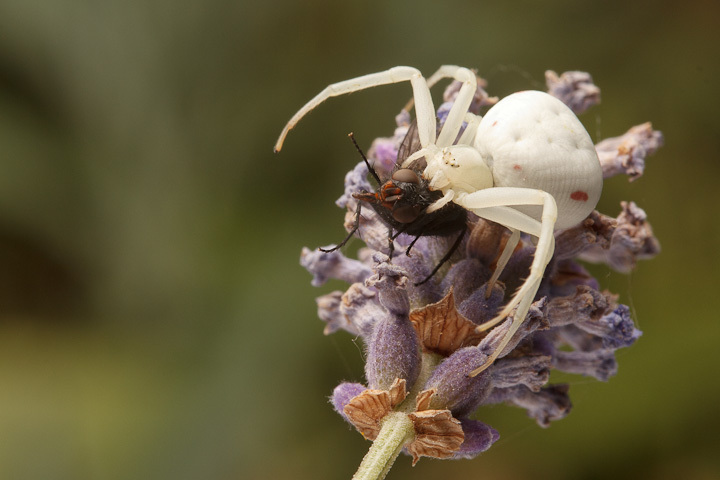 You could share this and say she is carrying her babies to safety…Who will believe you will tell you a lot about your friends! 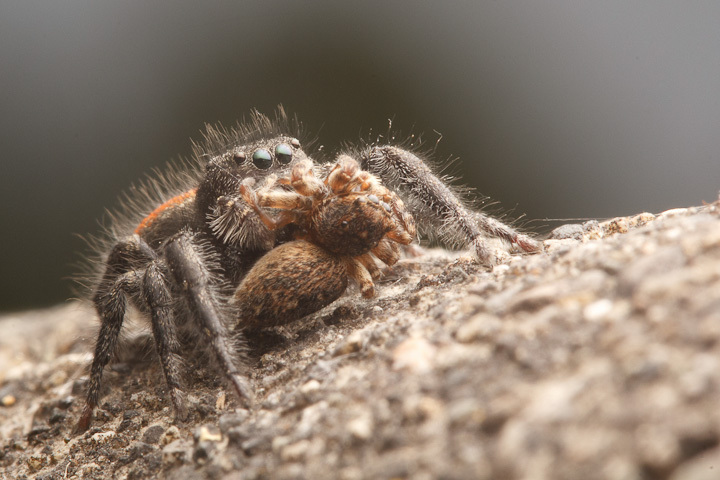 I wonder if these spiders make a lot of their living by preying on other jumpers. They seem to relish them!